Take one rooster and one hen, let them get to know each other a little. When the hen settles herself onto the nest, wish her luck and wait 21 days. Then listen.... cheep cheep, cheep cheep. Only a short time a go my partner and I began to settle into our first little piece of earth and greenery. We like to call it home, and today it begins to ever feel more so as we welcome our first new feathery friend. On my daily inspection of the original greenhouse that serves as a makeshift chook house, I caught out of the corner of my eye a halo of light on the shoulder of our little black Belgium Bantam, otherwise known as Pigeon, who'd been tight on her nest for nearly 3 weeks. 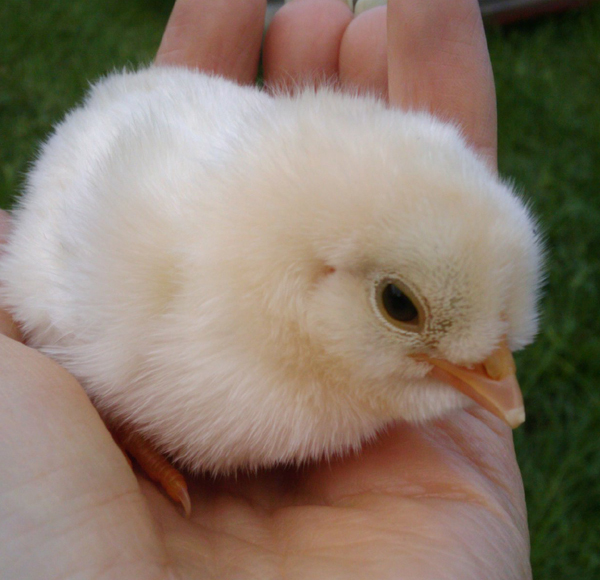 A second glance revealed a newly hatched little chicken. There's something special about witnessing the birth of new life.